Dengue Fever is such a fever that occurs by the bites of mosquitoes born in stopped water, and by these they infect the disease from one person to another. 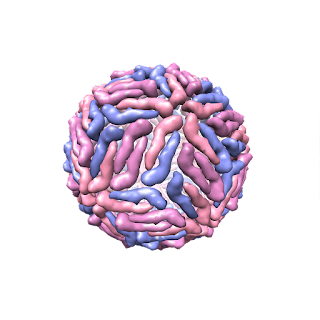 Dengue Fever is a viral disease that spreads through the mosquito bite and its first symptom is a high fever. During this illness the body's platelets are reduced. Dengue Fever spreads through the mosquito called Aedes. Every year in the rainy season this disease spreads, in which thousands of people die. Doctor explains that there is 30-40 thousand platelets in 1 ml blood in the body. These platelets are destroyed daily and they are formed daily. 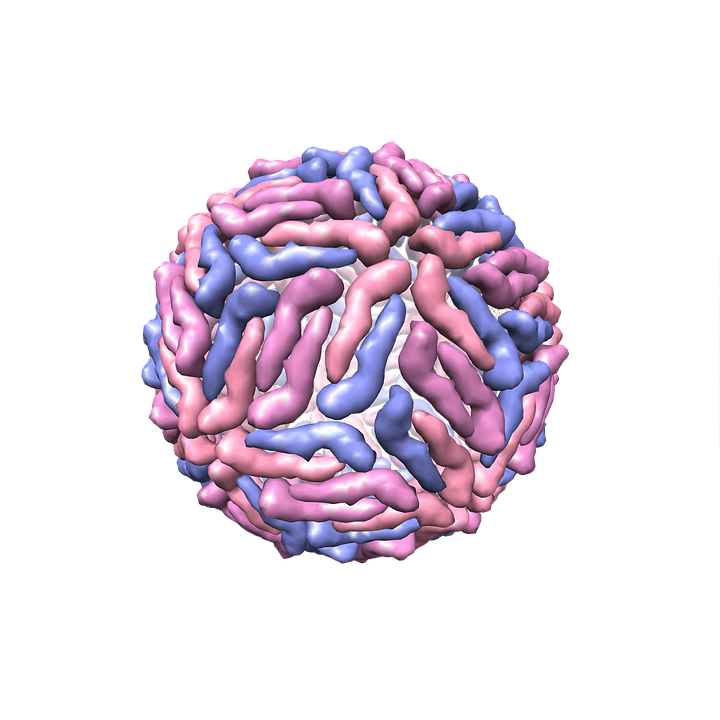 Dengue reduces the speed of the body's work, which also leads to slower growth of platelets. In this case, the resistance of the body also falls. Dengue mosquito bites mostly in the day and spreads in clear water. Females lay eggs in the water collected in cool fresh collected water environment like cooler drums, rain water collected in pot holes etc. after dried up Aedes mosquito egg life is 12 hours. Dengue Virus reaches the body after the bite of Aedes mosquito. The main symptom of this disease is high fever. After this, headaches, joints and muscles also cause pain. Rashes on the body are also visible. Apart from this, vomiting, diarrhea, stomachache, weakness and lack of appetite are also symptoms of dengue. Though without test it is not possible to distinguish properly about the dengue fever as mostly is has common fly like symptoms especially at its initial stage. To avoid dengue it is necessary to take precautions and to take remedial measures. After experiencing the symptoms of dengue, it is also very necessary to check it. It is not that having dengue remains a threat to the patient's life. In most cases bites of dengue mosquitoes are either light fever or no difference. 1. Muscles and joint pain. 2. Disappearing and reappearing Body rashes. 4. Intense to mild headache. 5. Pain eyes over eye muscles. 6. Vomiting or feeling nauseous. Symptoms from mild to gradually worsen after passing of days. DHF may result in death if not treated properly in time. · Damaged lymph and blood vessels. · Internal bleeding, that blood can come in the form of black vomiting and from stool. · Reduced number of platelets. · Small blood acnes under skin. · Sudden hypotension (drop in blood pressure). · Blood vessels leaking fluid. No one dies in classical dengue fever. It is also cured even by ordinary treatment. But dengue hemorrhagic fever and dengue shock syndrome can increase the risk for life if not treating in the right time. NS1-NS1 test should be done in the first five days of symptoms of dengue in order to achieve its meaningful and accurate results. If there is symptoms of dengue within the first 5 days, it should be tested so that the presence of dengue is better known. After this test, the results may be wrong. The NS1 test is capable of detecting the disease within the initial 5 days, but along with it the authenticity of its results is questionable. ELISA- This is a test for aloeja- dengue, where the confirmation of dengue is confirmed, thereby making it easier for the doctors to treat the patient better. In ELISA test procedure, components of the immune system are used (such as IgG or IgM antibodies) and chemicals for the finding of immune reactions in the body. The symptoms of IgM dengue in the alleys test occur within about 5 to 10 days of occurrence. Accuracy in its results is based on the timing of the investigation. In most cases of dengue, doctors recommend getting NS-1 test done. The main reason for this is that this test is done in the first 5 days, while the Elijah Test takes longer. In such a situation, instead of waiting for longer periods of time, it is better to make NS1 better. However, the results of the Elijah Test are more authentic than the NS1. If one delays this investigation, then it is not necessary that the results of the dengue fever will be confirmed. Many times such situations are also made, when the patient gets dengue but does not get tested in time due to wrong results and dengue is not confirmed. In this case, the patient must face dengue, but he can not get the right treatment and his condition worsens day by day. The juice of fresh leaves of papaya is considered very useful for the recovery of platelets in dengue. To make this juice, wash some leaves thoroughly with water anud grind them. Keep in mind, the leaves are freshly grown fresh. Feed the leaves of these leaves two to three spoons of dengue in the day. It releases toxin out of the body, as well as the pottery mate increases rapidly. It is called Tinospora Cordifolia by its botanical name, take 25 grams of fresh citric acid, grind 5-6 Giloy leaves and 3-4 black pepper and boil in 1 liter of water. Boil the water until it leaves 250 ml. Divide it into three parts. Drink dosage on the spread of dengue It is used to protect viral infection. Basil leaves are beneficial in all types of viral. Drinking its leaves in tea and drinking it daily prevents viral. Boil the basil leaves of water in the water of the dengue, it gives the body strength to combat the disease. Pomegranate and beetroot juice is beneficial for the juice of sugarcane and sugar beetroot for the patients of dengue. Pomegranates remove the shortfall of blood in the body. The aloe vera juice enhances resistive power and keeps the digestive power well. If one have dengue, give the patient Aloe Vera or Nector (Capricorn), it gives strength to the body. Amla with botanical name amlica embilicus contains vitamin C, it enhances the immunity of the body. By reaching in the human system, it absorbs more of the iron element, which increases the blood quantity and hemoglobin in the body. In severe patients, there is a high fever for 7-8 days. The fever goes down mostly in one week, after which there is a lot of severe weakness and sadness for many days. In Homeopathy, it should be given 3 bulbs (3-4 times in small quantity) in the amount of Eupatorium Perfoliatum 30. With the above symptoms, if the patient is dull and more thirsty, then 3 times in the amount of Bryonia-30 should be given 3-4 times. Similarly, if someone's platelets are declining, then 'Carika Papaya Extract' can be used. Along with this 'arsenic album'. Using them in combination, there is a surprising increase in platelets within a few hours. According to Homeopathy experts that these are herb medicines, thereby causing no harm to them and the effect is very fast. Difficult to compete with dengue and platelets fall rapidly after its virus infection. It takes lots of time energy and money to cure the Dengue fever. Therefore, it is also very necessary to protect against this by using simple ways and precautions we can avoid Dengue easily. Make sure that there is no stopped water especially rained water in the house and nearby area approximately 200 meters as Dengue mosquito bites approximately 200 meters peripheral area so take special care of cleaning. Change the water of cooler regularly time to time and keep the cooler clean. Wherever the water is being collected, put few drops of kerosene in it so that eggs do not grow. Do not allow water to be collected in plants let the soil dry in rainy season by keeping proper drainage or water letting out way. Do not allow water to be collected at the washing place always put the utensils in reverse. Take measures to kill mosquitoes in the house. Burn the Neem leaves (Azadirachta Indica), put the mosquito repellent and sleep by putting a mosquito net. Children also dressed in full dress especially in day time as Dengue mosquito bite in day time. The mosquitoes run away from camphor smoke, keep the camphor in the lamps, and burn every room. 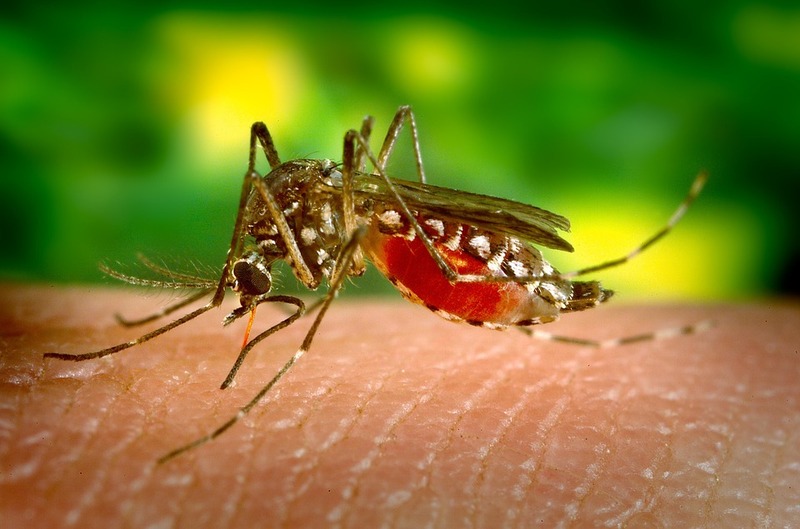 If someone in the house is infected by dengue, then be very very careful and take extra precautions as if a normal mosquito bites him or her and then bite other members can get infected by Dengue, in this case Dengue mosquito bite is not required to get the infection so risks are really high in this case. Thanks for you encouraging words. Suggestions are always welcome. Please don't @#39.t spam. Spam comments are not approved. Saptarangi or Salacia oblonga is a native of India and Sri Lanka. 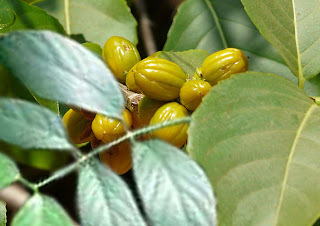 It is a woody shrub that grows in rain forests. It bears yellow green flowers with berries as fruits. It contains active constituents, glycosidase inhibitors, Salacinol and Kotalanol 9. Alpha glycosidase inhibitors are saccharides that act as competitive inhibitors of enzymes needed to digest carbohydrates This plant is traditionally used in Ayurveda for its anti-diabetic properties. Saptarangi is the drug of choice for diabetes by alleviating the root cause of the problem i.e. to correct the working of liver and pancreas. The bark of this shrub is of considerable therapeutic value. Its constituents Salicinol and Kotolanol, controls blood sugar level in Type 2 diabetic patients. Not only in India but many countries are now using it for its superb anti-diabetic and weight loosening property. The discomfort cause by mouth ulcers is excruciating. You cannot taste the food without soreness. Your mouth don’t experience flavor in food you eat but pain. There are many home remedies of mouth ulcers that we have somehow forgotten and which are fairly effective and bring respite in short period. But ahead of explaining the home remedies to you, let me first talk about the causes of mouth ulcer, which is very essential in preventing the ulcers to resurface time and again.